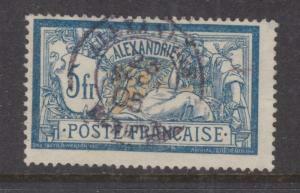 FRENCH PO EGYPT, ALEXANDRIA, 1902 5f. Merson, used. 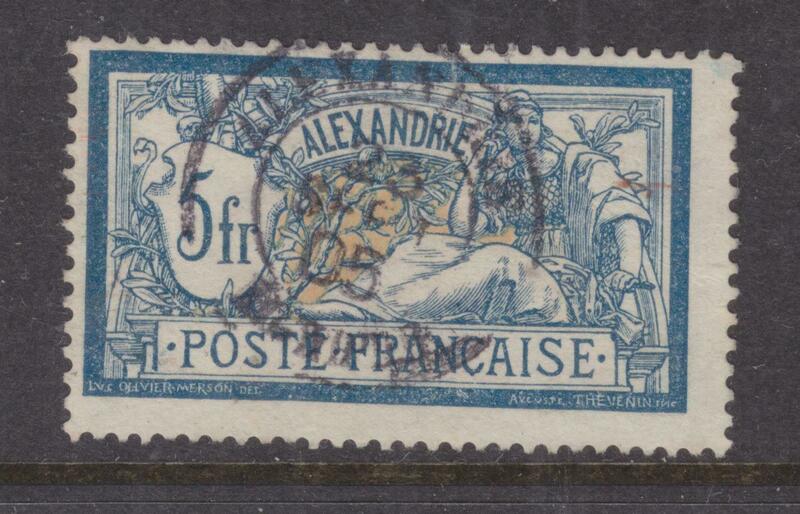 FRENCH PO EGYPT, ALEXANDRIA, 1902 5f. Merson, used, small tear at top. 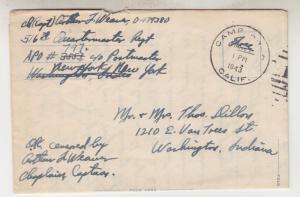 CAMP ANZA, CALIFORNIA, 1943 Free Letter Sheet, APA 797, Chaplain, self censored. CZECHOSLOVAKIA, 1949 cover, 5k. 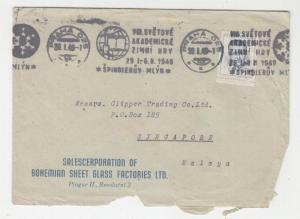 Prague to Singapore..
BRITISH GUIANA, C1910 United States 1c. 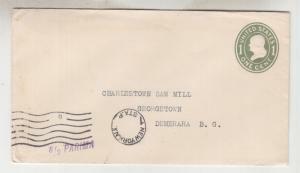 Envelope NY to Demerama " S.S PARIMA "
PERU, Postage Due, 1909 set of 4, ABN Punch, SPECIMEN in Red, mnh.